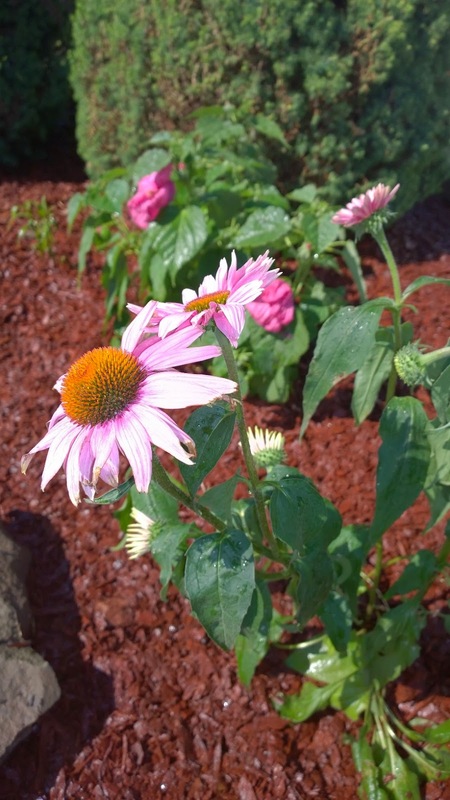 SAM SCHUERMAN: Our Garden Makeover! Here's a before/after picture. 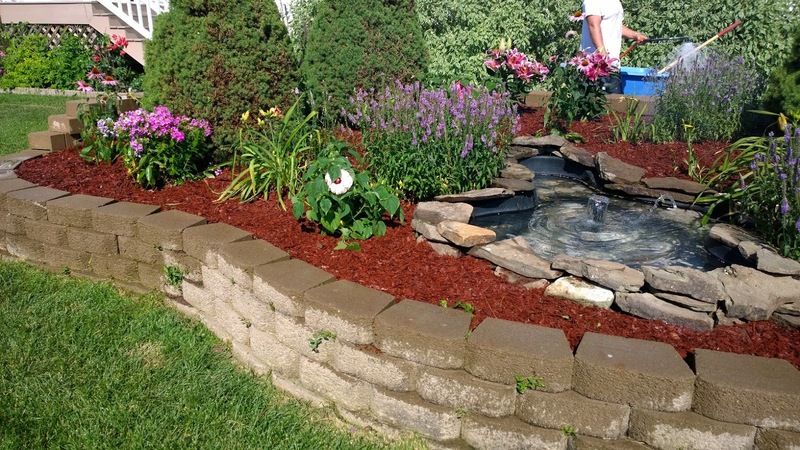 Before it was just a few plants and a whole lot of weeds. It still looked pretty (I thought it did at least) but not quite as nice as it does now. Here's a bigger picture of the after. 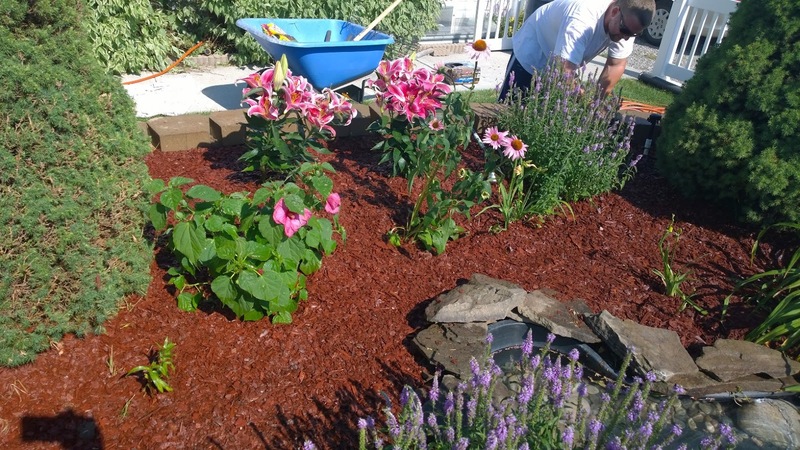 I have a new found love for Red Mulch. I love it. I just feel like it really makes the flowers pop and everything look so tidy. Our poor little pond pump is a bid sad so I think we will be doing some work on the pond soon but that's for another day. 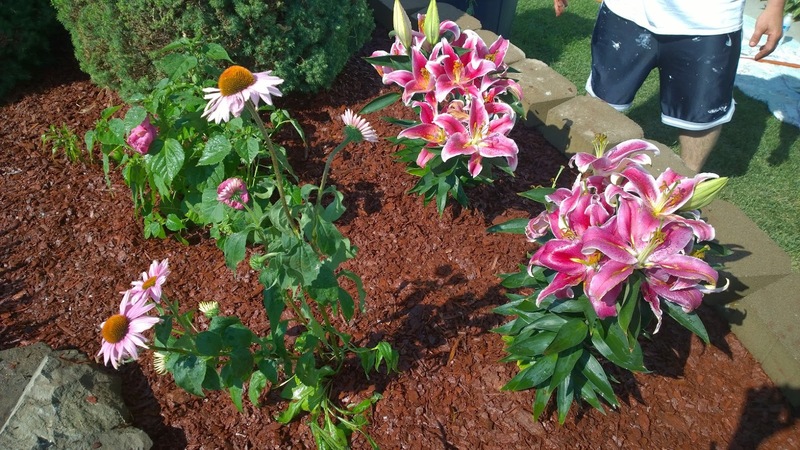 I'm not sure of all of the flowers names but we just made sure that they were all sun worshipers and perennials. I love the selection we chose. Pinks, purples and lots of different shapes. This hibiscus really caught my eye. We named it Hibiscus Hula after the delightful Mickey Mouse episode. Here's a slightly bigger picture of more of the area. I just want to drive by our house over and over again haha! These flowers were already in there but the creeping jenny vines and started to suffocate them, you couldn't even see them! 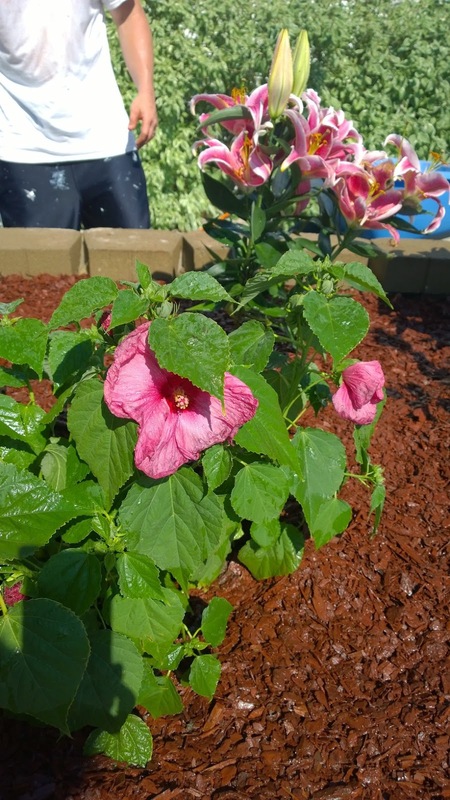 We also chose a pink hibiscus which I love. It's a piece of Hawaii (ahh memories)…. 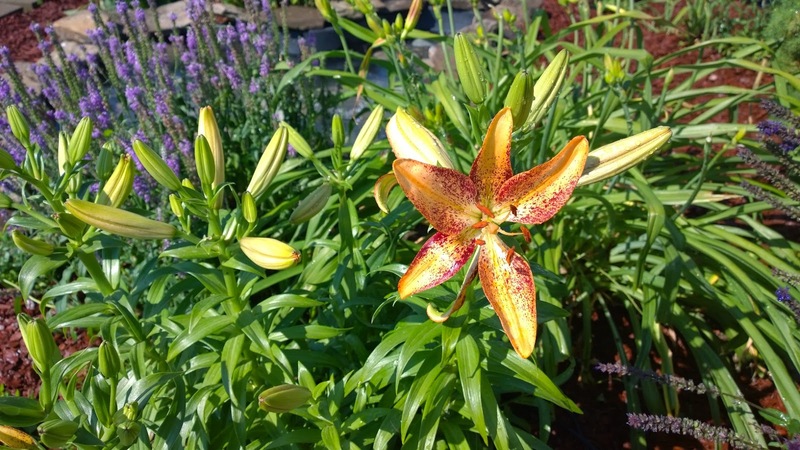 These Lilies had the most amazing scent. I love Lilies. I named my daughter after them so I better haha! They smell amazing, look amazing and remind me of my Mom. She loved Lilies and I remember our whole conservatory in England after she passed had the beautiful smell of lilies. It was the only beautiful, happy memory I have of that time in my life. They really make me smile to see and smell them. They have a special place in my heart, so I was really glad they had these. These particular ones had just come in to Lowe's, so we were lucky! 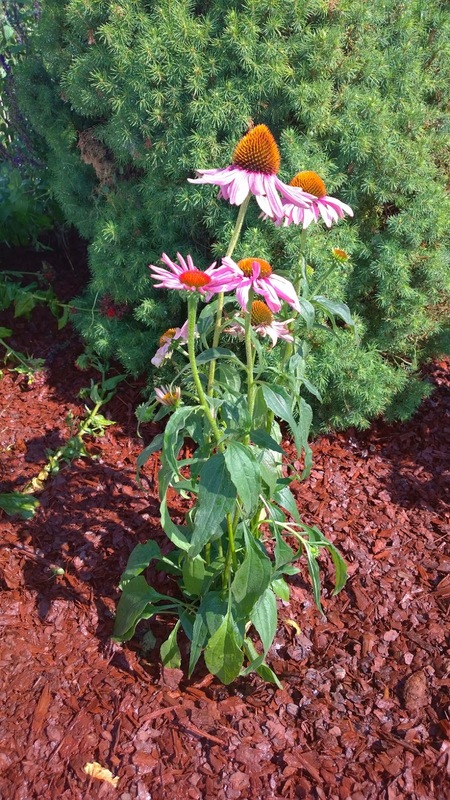 We had a bunch of these cone flowers in our garden when we were growing up, so again a happy flower that reminds me of my Mom. Simple but beautiful. 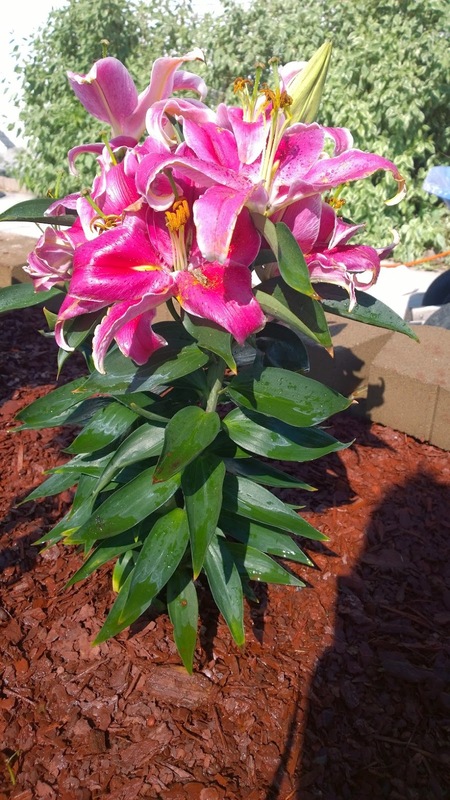 How amazing are these lilies? I'm obsessed. When you walk past them, the scent is so strong! This is what it looks like from the other angle. There's our work for the day. I'm happy with how it turned out. 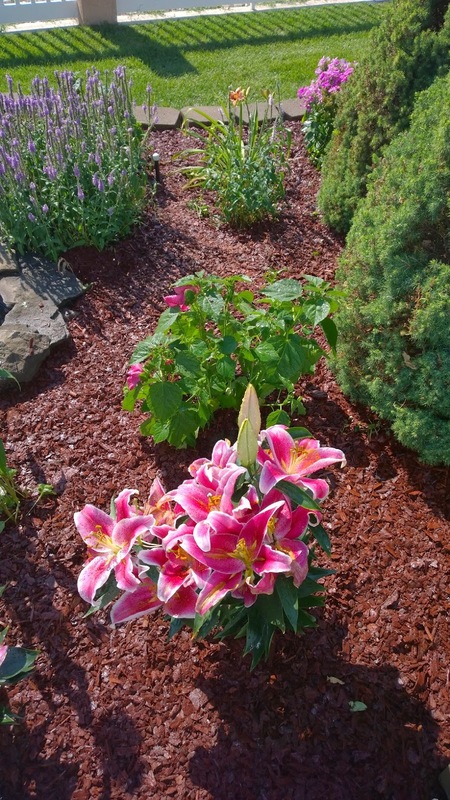 Now when I walk up to our front door, I get to look at this beautiful sight and smell the scent of lilies. What more can you ask for? We are trying to do one section of the yard at a time, so this was our first project. I'll keep posting what we do next. Sam, that's beautiful!!!! Nice job! 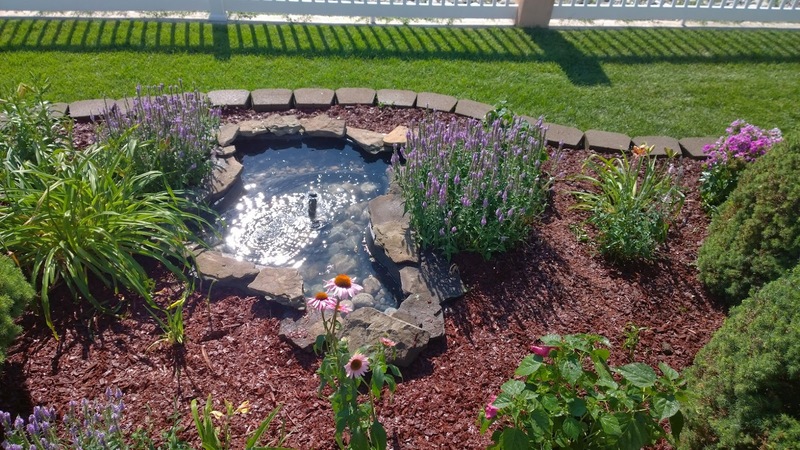 I would love to do something like that in my yard, but I don't have the drive and I hate weeding and bugs and all that goes along with gardening. But man I love to look at it, lol. 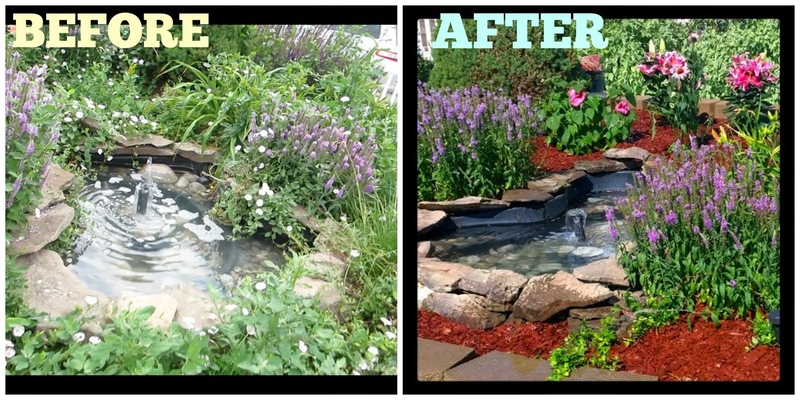 Wonderful job and beautiful results. 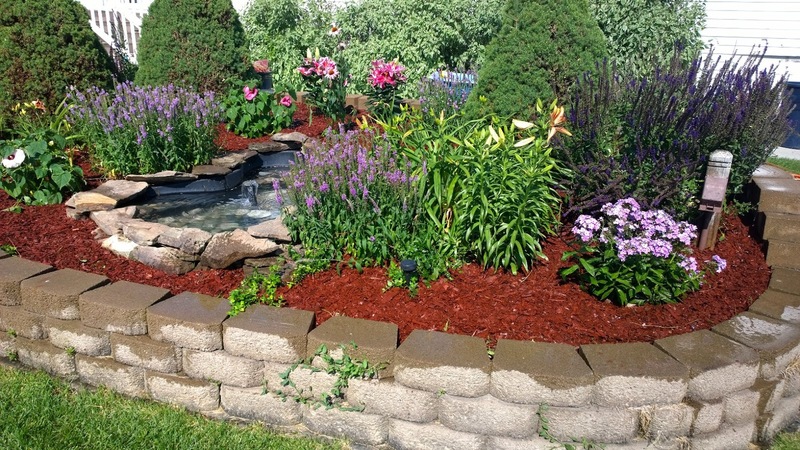 I love the look of the red mulch, the only thing is it weathers so enjoy the color as much as you can. 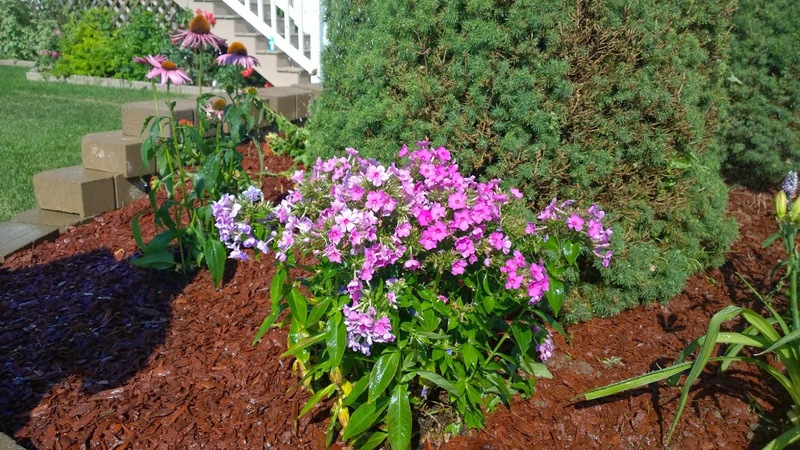 I hate weeding and finally put landscape fabric down with perennials and shrub and a drip system, then used pots for my annuals, much easier to take care of for me. I hope you got hardy hibiscus plants, a specific breed, otherwise they won't make it through the winter. 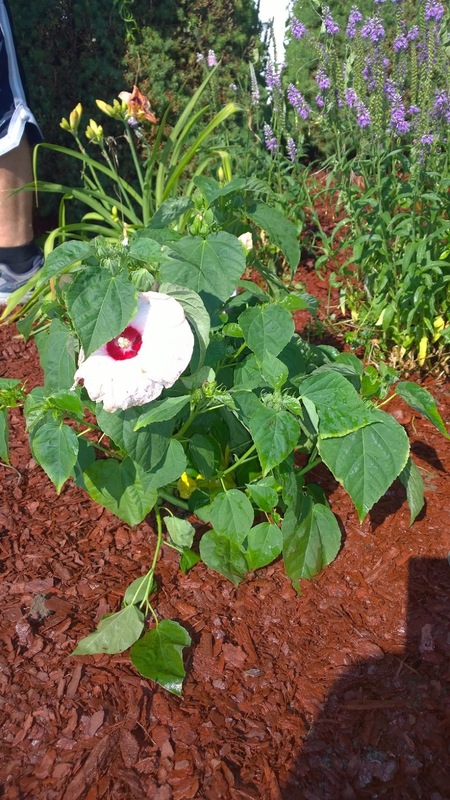 Our hardy hibiscus grows quite large every summer, to about 5 ft. tall. I love your Garden! It looks absolutely beautiful. All that hard work certainly paid off. 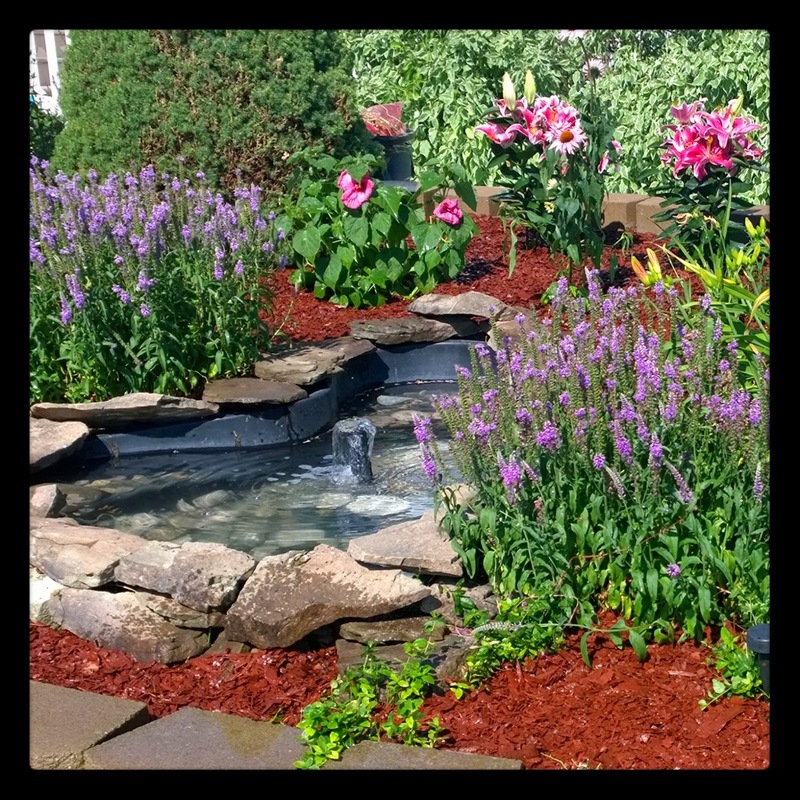 What a beautiful garden! I love it!! wow! you both did a fantastic job. it's so vibrant! !